Driving through Big Sur, there were times we couldn’t see the next bend in the road ahead. The winding road through the park was beautiful and unnerving. We stopped several times in the park to look down the sheer cliff faces that dissolved into white mist. It was impossible tell how far we were from the water below. 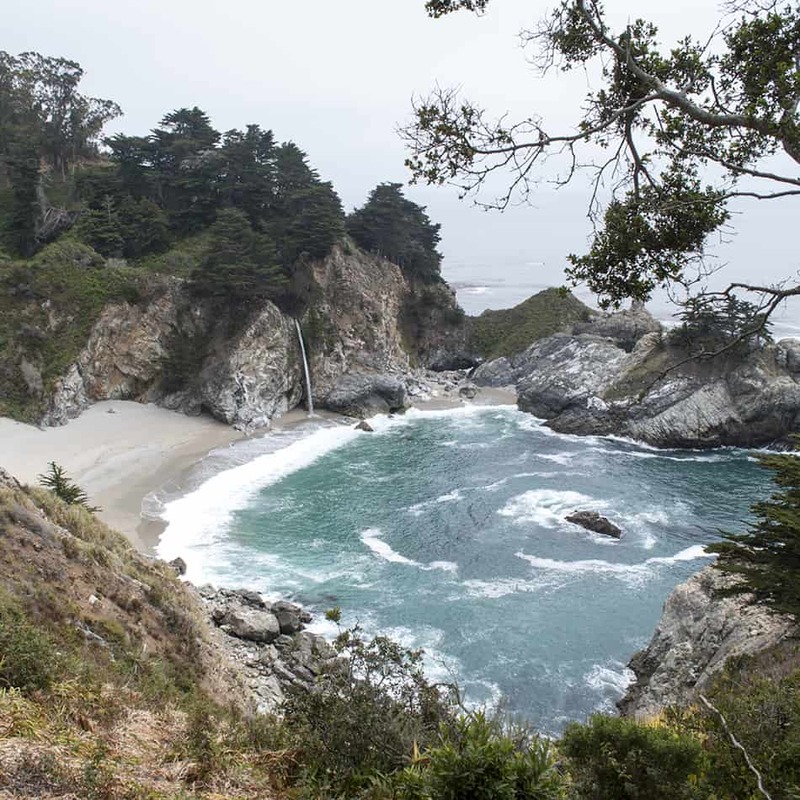 We were lucky enough to have breaks in the clouds at the scenic outlooks at Willow Creek and McWay Falls. I would have been heartbroken if I had missed the waterfall and blooming yucca. 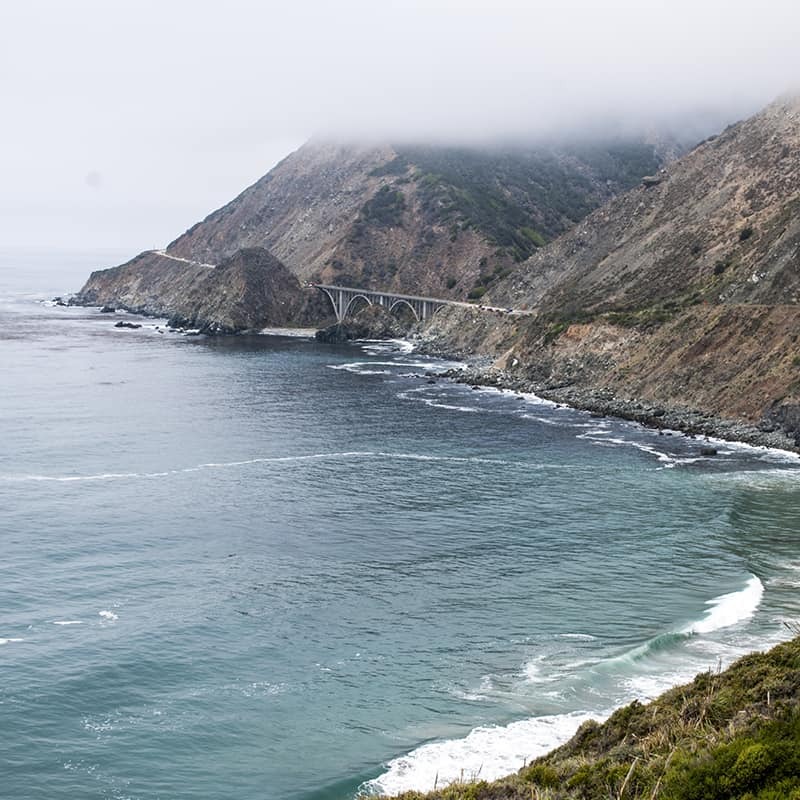 Big Sur is a lovely place for a day trip if you’re staying in San Luis Obispo or Monterey. 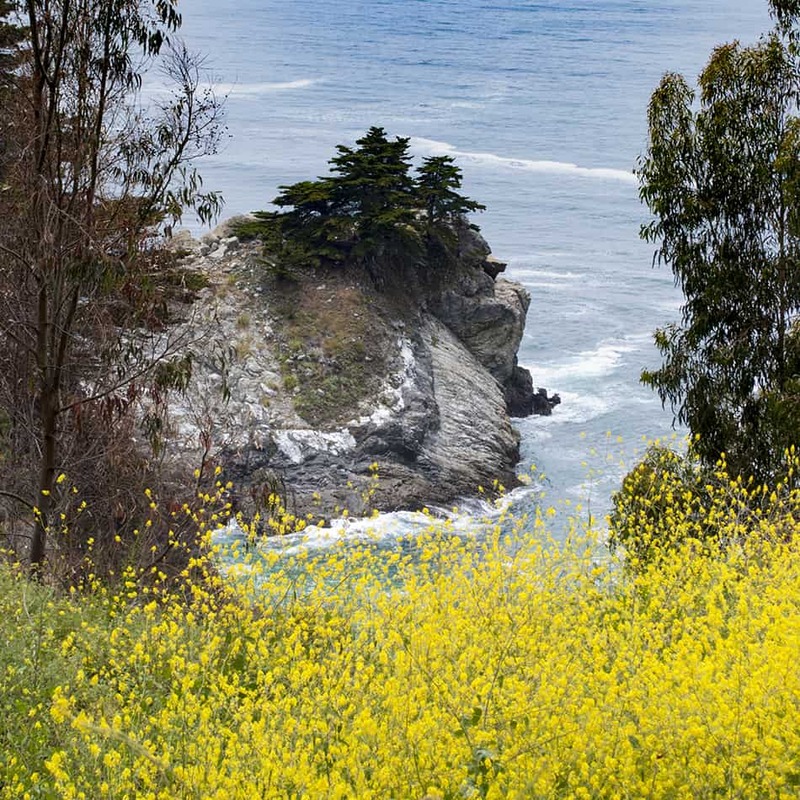 Pack a lunch, and enjoy a beautiful drive along the coast.